What you need to know to be a CNC Programmer? How much can a CNC Programmer make? Why learn how to use CAM Software? The following chart is courtesy of www.study.com and provides a brief overview of what is required to become a CNC Programmer. Visit the following link to get more information. Click here to go to study.com's "Become a CNC Programmer Education and Career Roadmap"
The national average salary for a CAM is $40,558 in United States. Filter by location to see CAM salaries in your area. Salary estimates are based on 49 salaries submitted anonymously to Glassdoor by CAM employees. NIMS offers standards-based credentials that validate essential knowledge, skills, and abilities. Credentials are earned through competency-based assessments: performance and theoretical tests that are administered at the place of training and via the NIMS website, respectively. Credentials are earned by students, apprentices, trainees, employees, and military personnel nationwide and around the world, providing each with a nationally-recognized competitive edge. As of March 1, 2018, over 130,000 credentials have been issued. 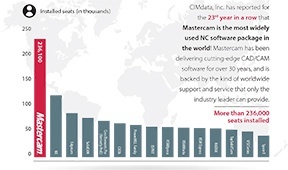 Check out the different Certification options for Mastercam. Theory-reading, watching and listening to required information. This can include easy to follow step by step instructions in the form of written supported by video content. 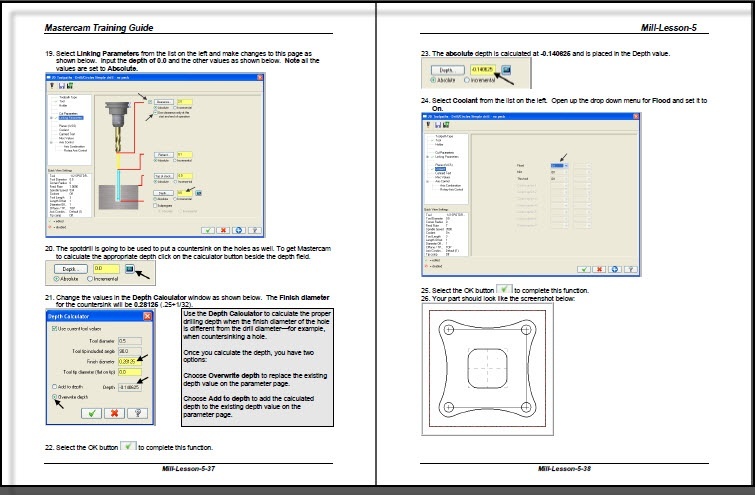 Practical hands-on projects and exercises. Providing lessons that are realistic motivates learning. When teaching future CNC Programmers how to use Mastercam feedback from teachers state that interesting projects (lessons) facilitate learning. "Students are learning Mastercam at a pace that even surprises the teacher". Feedback –Quizzes and Tests should be included in the content in order to provide instant feedbac k to students once they have learned the material. It is preferable that some of the quizzes and tests are automatically marked by the system being used so students can get instant feedback on their work. 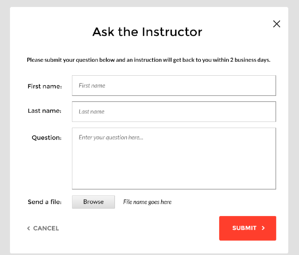 It is also recommended that when possible an Instructor be available to answer questions and provide feedback on practical tests. Look for an online course that offers access to an Instructor for the duration of the course. The ultimate test to know if learning has taken place in a CNC Programming Course and when learning Mastercam is that the student can draw, toolpath and create the NC code that will run CNC Machine and make an accurate part with the time and tolerance outlined by the Test. To learn how camInstructor provides these requirements, check out the online course page. The manufacturing environment is increasingly complex. The need for CAM and PLM tools by the manufacturing engineer, NC programmer or machinist is similar to the need for computer assistance by the pilot of modern aircraft systems. The modern machinery cannot be properly used without this assistance. Today's CAM systems support the full range of machine tools including: turning, 5 axis machining and wire EDM. Today’s CAM user can easily generate streamlined tool paths, optimized tool axis tilt for higher feed rates, better tool life and surface finish and optimized Z axis depth cuts as well as driving non-cutting operations such as the specification of probing motions. Your chances increase when you know how to use the most popular Software in your industry. Experts agree that knowing how to use the most popular software product in your industry is the smart approach to finding employment. When learning how to program CNC Machines, it's important to learn the most popular CAD/CAM software, which according to CIMdata is Mastercam.